Providing superior support and comfort all day, our En Forme bra is a structural masterpiece without the padding. It puts your bust exactly where it should be - front and centre, creating a leaner more confident you. From lace detailing to beautiful patterns in a non-padded range of colours and styles, our En Forme bras are the perfect choice for affordable everyday wear. Want to try one of our deceptively supportive, non-padded bras but not sure of your size? Our Pocket Bra Guru app will help you to find your perfect fit in a few simple steps. 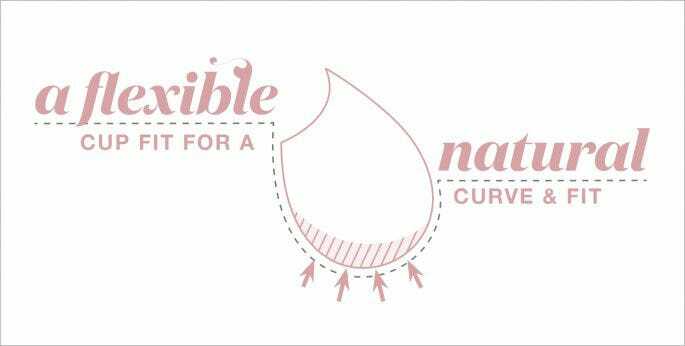 For other gentle support bras check out our Oh Naturale (with no padding) or Curvylicious (with light padding).